Unicorn Potion Nail Enamels Product ReviewLet your nails spread miraculous magic this summer! Why waste your money in dull and ordinary nail color shades when Nykaa is up with the most stupendous nail enamel series of the nation! 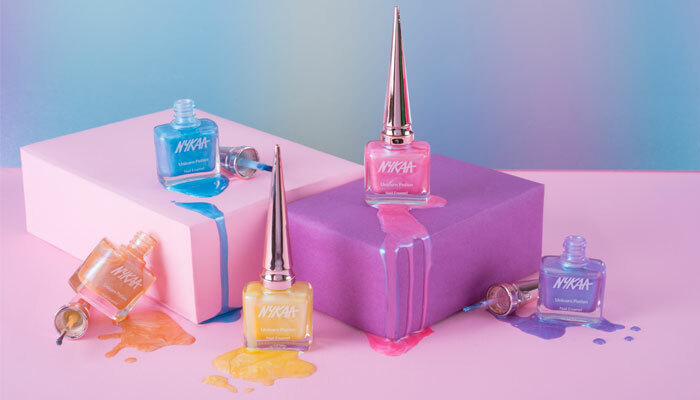 With the launch of its super glossy, dreamy and adorable unicorn nail enamel range, Nykaa has taken the online world by a sensational storm. These nail enamels have become the fascinating talk of the town and uncountable experiences and reviews have been attached to it from then. These nail enamels offer great value for money and with Nykaa offers running online you can buy the same at even more affordable rates. Dive deep into this review and get introduced to this stunning range! The entire range claims to gift you an amazing holographic finish that will definitely take your heart on a sleeve. But the reality is not every color of the range is successful in delivering the same. The embodiment of shining pearl pigments in incredible unicorn formulae turns out these enamels to be genuinely beautiful ones. And the best part about these magnificent shades is that no testing has been done on animals and none of these innocent creatures have been killed or harmed in any way to get this range produced. Just look at a unicorn nail potion enamel bottle and there are 100 % chances that you will utter- “wow”. The packaging is extremely fabulous and has been designed in a way that can easily attract the attention of girly girls out there. Amazingly long pointed cap of rose gold color serves as a visual treat and is sturdy too. Rest of the bottle is quite similar to normal ones but it is the cap detailing that gets one extra point. But carrying such a pointed bottle while traveling can be quite uneasy if you do not have a spacious baggage to carry the same. Spread the joyous vibe with this most happening and the loveliest shade from the Unicorn Potion Nail enamel range. It showcases shine like gold and its incredible appearance turns it out to be a great option for summers. As marvelous as sunset, this multi-toned color is a mix of white pearly feel combined with orange shade and shimmering yellow color. This shade gives you a very elegant and astounding appeal. Breathe, relax and repeat. Feeling peaceful? This aqua based soothing bluish shade will calm you and your surroundings all over again. This is a color that never leaves your back! This purplish shade with a pinch of sprinkling seems as if these have been actually made from the charm of prodigious fairies! Just apply it and you are all set to make a statement! Can a nail enamel range be complete without pink? Impossible! With crystal glossy baby pink look and outstanding glittery holographic finish, this shade is ready to set your heart on fire! All the variants within this glorious nail potion range have been blessed with a commendable consistency that makes it simpler and smoother to apply. It’s the ravishing formula behind the product that is responsible for granting it such a charming appeal. And the most tempting part is all the colors are streak free! Not every nail shade that your nails embrace lasts longer but this is definitely not going to happen with Nykaa’s Unicorn potion nail enamel range. These shades have been designed in the most glamorous way possible and special attention has been given to the long-lasting effect it emanates. On an average basis, the shades last for a minimum of 3 days and that too without fading or chipping. However, if you have applied too many coats, it may chip up due to excessive coating and that’s normal. This adorable range focuses on powering you wonderfully with light, poppy, glossy and fun shades, so at times some of the shades of the range are hard to visualize in a single coat. But when you apply them for 2-3 times, they serve you with the color as they promised to serve you with. You just need to spend Rs.199 for buying one 9 ml bottle of the unicorn potion nail enamel range and this price is very reasonable as and when compared to other products available in the market. The incredibility this range offers is much more than the price you are supposed to pay, so this is a must buy option for girls who are obsessed with beautifully sensational shades. Undoubtedly it lasts longer and what else you wish from your nail enamel? Although the colors are awesome, there are chances that they might not suit every skin tone. There is no questioning in this statement that these unicorn nail potion enamels are phenomenally tremendous and contain the top features that keep them one step ahead of other identical products. It dries fast, stays for long, has a gregarious design, offers so many colors, is available at a budget-friendly price, and has a beautiful texture and a lot more! However, the product lacks when it comes to authentic holographic designs. The shades are so light that they are not visible in one coating. 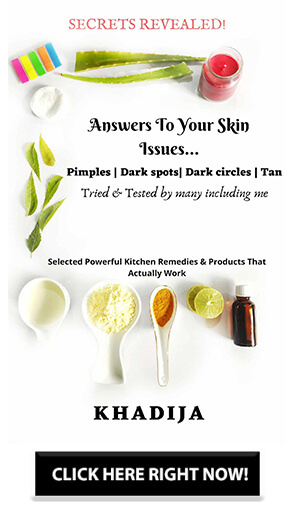 Moreover not every shade will look good on all the skin tones but there is definitely one color for all sorts of skin types. All in all, buying Unicorn Potion nail enamels is a win-win situation! Which shade are you going for? That is it, guys. If you liked this then please follow and subscribe me and stay tuned for more such posts. If you have any queries feel free to ask in the comments or DM me on Instagram.